Visit TT Circuit Assen stand at Motorbeurs Motor Expo Show in Utrecht and get a closer look to Jonathan Rea’s Kawasaki machine. Anticipation continues to build on all over the world ahead of the 2019 MOTUL FIM Superbike World Championship that will kick off in Australia next week. From 14th February – 17th February 2019 at Motorbeurs Motor Expo Show in Utrecht (The Netherlands) Dutch fans will be able to get their first taste of WorldSBK as TT Circuit Assen will be there replicating the unique atmosphere of the most famous production-based motorcycle championship paddock at the event. Take a walk inside the TT Circuit Assen Stand at the Motorbeurs Motor Expo Show and relive the 2018 WorldSBK Dutch Round with the most breathtaking images of local hero Michael Van der Mark (Pata Yamaha WorldSBK Team) taming his Yamaha YZF R1 at the iconic “Cathedral”. 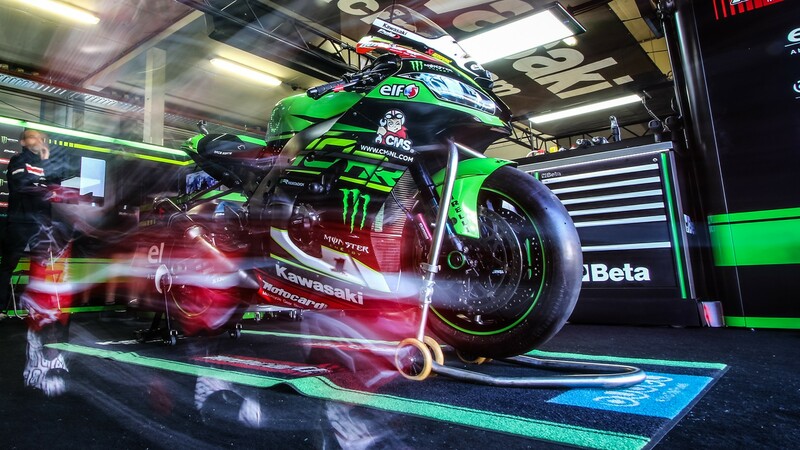 On top of that, WorldSBK fans will be able to take a closer look to Jonathan Rea and Kawasaki Racing Team WorldSBK’s winning weapon, the Kawasaki ZX-10RR, which will be on display at the Circuit stand. Taking the fans into a whole WorldSBK experience during the four days of exposition in Utrech, the TT Circuit Assen stand will also have a big stage hosting many activities such as the TT Quiz and the “Hats on, hats off” games, with the chance to win incredible prizes. At the stand, Dutch fans will be able to purchase their WorldSBK tickets for the legendary Dutch Round which will be held at TT Circuit Assen from 12th-14th April 2019. Offering a unique experience to the fans, all kind of tickets will include free access to the paddock, a place where they will be able to meet their heroes, enjoy exclusive activities at the Paddock Show arena, and be involved into the post-race celebration as WorldSBK continues to welcome the Parc Fermé and the Podium in the heart of the fan zone. Bringing the fans even closer to the race action with even more on-track activity offered this year, the 2019 WorldSBK Dutch Round will be the perfect entertainment for families, as kids under 15 years old will have free access to the event. Click here to purchase your ticket for the Dutch Round. Don’t miss the start of the 2019 MOTUL FIM Superbike World Championship season at Phillip Island next week. Catch all the races with the WorldSBK VideoPass.